When we combine novelty and challenge with social relationships, we build attachment to learning and bonds between learners. The more varied the learning strategies, the more brain branching occurs – especially in the first hour of exposure to the tasks and the content being developed. Every learning journey is unique and each learner brings different background schema. How do we invite students to the learning every day anew? How do we provide multiple entry points along the learning journey? How do we create low barrier access points for all our learners over the course of our time with them? Activate or connecting activities are tools to locate background knowledge and to lay down some foundational schema for new learning…think kicking up the mud at the bottom of the lake; activation makes the water murky (in a good way!) with related experiences, emotions and memories the learner already has but may have settled to the bottom. These activities are meant to be fun, light, invitational, open, and never-never ever for marks!!!! They are invitations to the learning and not the learning itself. 1. #sixwordstory – Students choose (or are provided with) an object, picture, event, sentence…then are invited to write a story using only six words. These stories can be shared verbally or posted into a doc, a slide show, on a sticky or tweeted out. 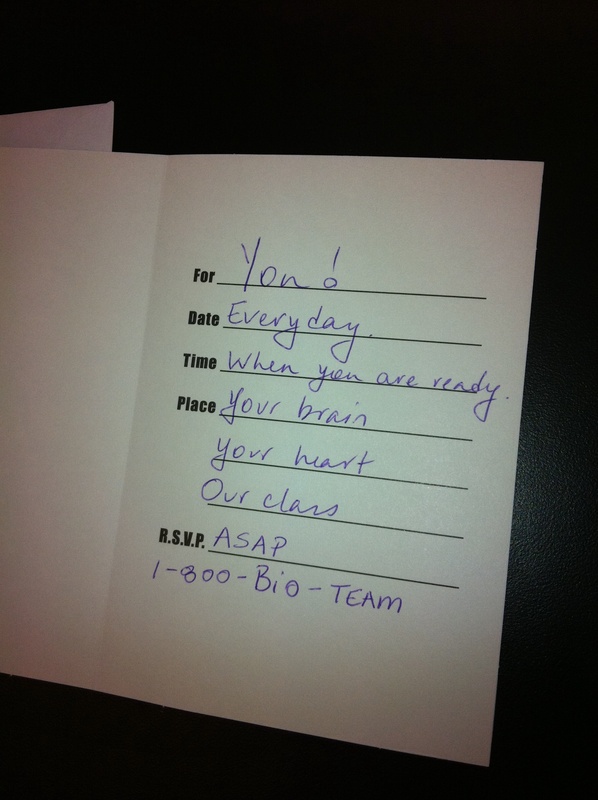 An example from my Biology class is provided below (students wrote on stickies and I posted to our Facebook group). Six words do not intimidate anyone! 2. Found Poem – A found poem can be a collection of writing or sentences that are randomly collected or selected to create a group “poem.” Statements can be generated or selected from a text, article or video. A found poem can be created from students reading their #sixwordstory aloud in rapid succession. Students love to hear other student’s poems and you would be amazed at how much information gets kicked up! 3. Building from Clues – Clues can be objects, pictures, text, snippets of video or a mixture of all of these. This invites the learner to access background knowledge and makes predictions about what the unit or lesson will be about. In this activity you can lay clues out around the room, or show a series of pictures as slides. Invite students to cycle through, making notes and taking pictures as appropriate. Ask students to make predictive statements that summarize what they think the clues suggest. Student love mysteries! 4. Sort and Predict – Use words, steps of a lab activity, steps of the lytic cylce, parts of story, steps in baking or making, or steps of a problem. Students are challenged to put these either into groupings (in the case of words) or in correct order. This can be done with paper or by simply numbering sentences and asking student to sort these (when time is an issue). 5. Sponge – Select an article or story you think students might find particularly interesting (appropriately strange, quirky or gross ones work best). Divide the reading up into as many parts/sections as groups you want to divide your class into. Each group reads their portion of the article or story together and then creates a summary to share out. You could spice it up by having them write a headline, draw a picture, or do a skit as a summary. If the article is tantalizing, students will read the entire article on their own with no prompting needed! 6. Checker Board – Create a checkerboard with 9-12 statements or quotes. Students silently read the quotes and highlight 1 or 2 they like or dislike, disagree or agree with (you decide which criteria to use). From this point, you could ask them to do a stand up hand up pair up (see below) to discuss their quotes and do 2 or 3 rotations. Alternatively, you could ask them to create a #sxiwordstory with a partner that represents their selected quotes. Or you could invite them to work in groups to decide on their top 3 quotes with reasons why. An example of a checker board you could use with teachers is one I made based on various quotes on learning. 7. Anticipation Guide – Select key statements, ideas from a text, story or video that you want the student to engage with. The number of statements you select can be modified depending on the age of your students (fewer statements for younger students). Intentionally make a number of the statements false. Invite students to read the list of statements (they can work in pairs or individually) and ask them to decide if the statements are true or false (depending on time, you can ask them to provide reasons for their decisions). After reading and reacting to all the statements, students watch, read, or listen to the story/text to determine whether their initial hunches were correct. Again depending on time and particular topic you can scale this up or down. Template for anticipation guide. I created this one that goes with a 3 minute Carol Dweck video on Mindsets that could be used with teachers. 8. Is and Isn’t game – Students are invited to deduce a trend implied by pairs of opposite words. This is a great activity to begin a larger unit. Show only 2 words at a time and give them think time between each pair. They only way students can participate is by offering 2 words that correctly fall into the categories. They cannot play by simply blurting out what is being described (which is what they want to do!). My example is one done for PBL I did with teachers but this can easily be adapted for various units. 9. 100 ideas in 10 Minutes – Brainstorming can be effective and fast paced when made into a fun challenge. This strategy is useful when you need to generate a large number of ideas in a short period of time. Challenge your class by saying “who can thinks they can come up with 100 ideas in 10 min.” Encourage students to withhold ALL judgement during this activity, even self-judgment. In this phase the object is to generate ideas but not to judge them, the judgment phase will come next. An example of this is a list of ideas generated with a group of science teachers. We did not make the 100 mark but we got to 68 ideas in 10 minutes! They were impressed with themselves! 10. StandUp-HandUp-PairUp (or SUHUPU for acronym lovers) is like ketchup and can be added pretty much anywhere and anytime you need a quick infusion of energy in the room or need to create some conversation. Students stand up, put their hands up (for high-five action!) and quickly find a partner with whom to share or discuss the idea/reading/question at hand. Who creates the learning story in the classroom? In her Ted Talk (featured below) “The Danger of a Single Story” Chimamanda Adichie describes how her narrative was influenced as she grew up reading exclusively Western literature (by the way this would be a great Ted Talk to watch in History or English class to discuss perspective or point of view). It struck me that this danger could also exist in our classroom spaces. Is there space, trust, and a regular invitation for student’s to craft and tell their learning in their own way? Crafting narrative builds context and richness for students that is often missing with new content. The creation of even a small story invites the learner to make sense in their own words and in their own way. Creation invites students to pull the content and their background knowledge out from the chaos and embed it in a meaningful way. Below are some activities that invite students to create and own the learning narrative. Any of these could stand alone or could be done in a sequence to build larger collective narrative. 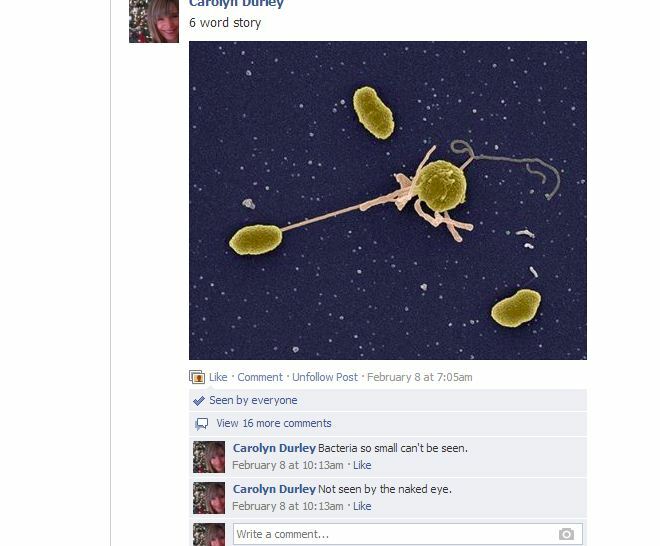 I have used a Biology example but could easily be altered to fit any topic! 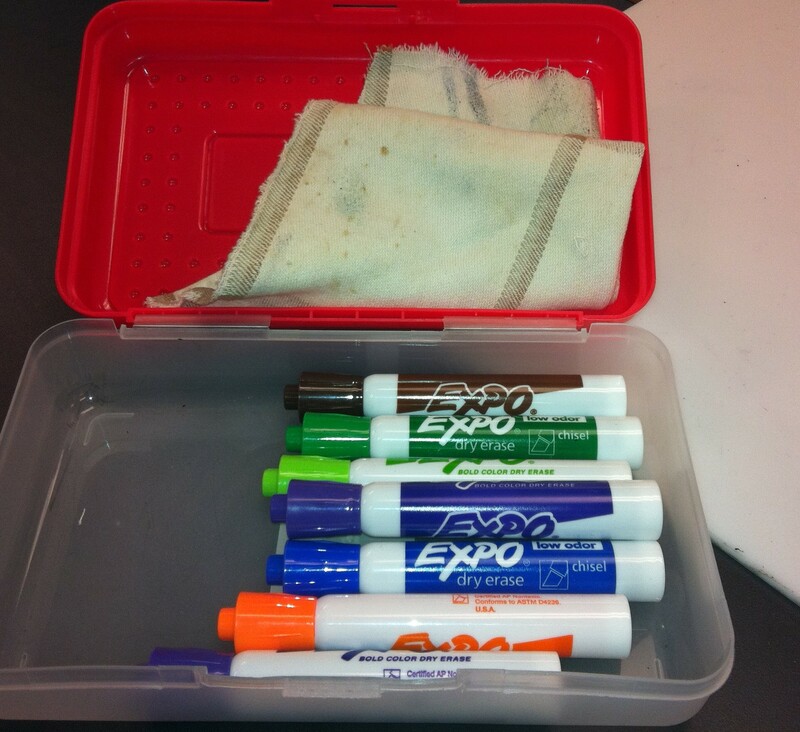 This activity can be used anywhere you want students to synthesize or reflect. It is fast, fun and students can choose how they would like to participate. If you want to take #sixwordstory’s up a notch, students can turn their stories into “Found Poems”. The simplest and easiest way to create a found poem is to ask students to read their #sixwordstory aloud one after another as quickly as possible to add some tempo to the poem. Found poems can also be created from readings. Student select their favorite sentence or phrase from the passage or chapter and then read these aloud. It is always amazing to hear how many will select the same phrase or sentence and this supplies a refrain like quality to their collective poem. Found poems could easily be extended into a larger project or simply end with the reading. Phonto is a free app that allows you to easily add text to a photo. This is a great way for students to use their phones and leverage their love of taking photos. There is a phonto app for both Apple and Android. The example below is one I created. You could combine #sixwordstory and Phonto for more story telling fun! 5. Animoto – Want to turn the found poem, or the phonto photos into something more? Take them and throw into an Animoto video (open an educator account to start) for a collective, professional looking Found Poem. I share below an Animoto I show to my classes at the start of the school year to make my “we all have stories to tell” point. 6. 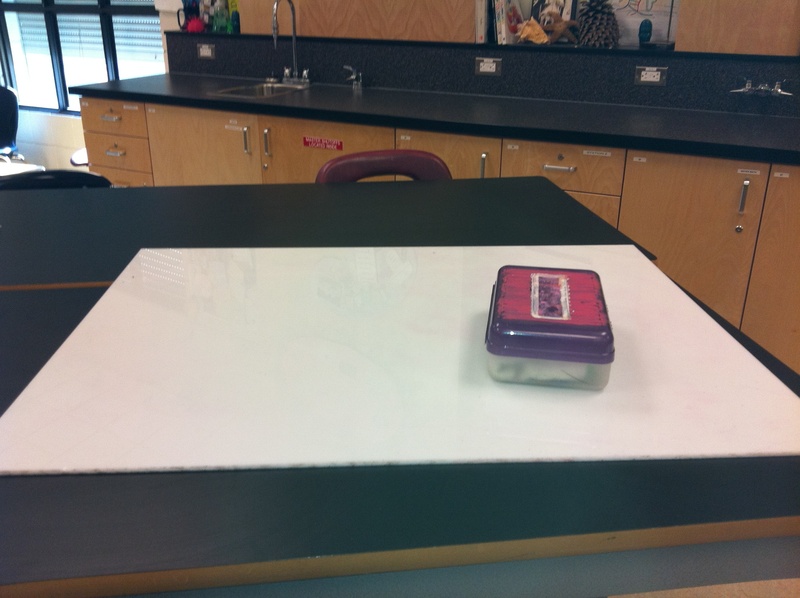 Using Whiteboards to tell stories – Low tech and multi-purpose, whiteboards are a fun way to invite student to tell stories. It might look messy to you, but it is amazing to hear the narratives that students share when presenting their stores to the class. Everyone loves a good story! Students can archive these by taking photos of the whiteboards and adding to their digital portfolios or to our Facebook page. The question remains, who tells the learning story in the classroom? How will your students tell theirs? Do you have any ideas to add to the ones here? I would love to here about them! Spicing up tables: Graphic organizer assignment. Compare and contrast is a useful activity in Biology; how are organisms similar and how are they unique? But compare and contrast is useful in many other subjects as well! I am excited to share this process assessment (meaning not for marks but for learning) with you (I found them in a box cleaning up the den today). It is one of my all time favorite projects I do with my kids as it never ever ceases to amaze me how unique and creative kids are (and I am not sure we always get a chance to see and celebrate in senior science). Don’t great me wrong I do love a good table. And tables are one of my own personal fav ways to organize a large amount of info and take ownership of the content. However tables can get a little dry and can be just plain boring! We all need a little spice in our lives. Students crave creativity and creative souls may feel crushed by the linear-ness of science and math (and I don’t think this should be case, my admitted bias). I find that less is more in terms of instructions and I don’t show them previous examples as I find it taints their creative souls. Assessment Task: Design a graphic organizer or synthetic model to demonstrate similarities and difference between 7 classes of vertebrates in terms of following characteristics, a) heart chamber, b) respiration, c) fertilization, d) skin, e) skeleton , f) body temperature regulation g) unique or defining feature. This could be used in any subject or topic where compare and contrast is a useful process. The sky is the limit, I’d love to hear where you think you could use this in your course! Ta da! Look at the incredible examples! They never cease to amaze me with their ideas! Sorry, but this is my fav! Science 9 example to compare alternative energy. This one is exquisite! Hand painted foam pieces with incredible detail. 3 Tools to Connect Your Classroom in Under 3 Minutes. When I first started to digitally connect with my students 3 years ago, I tried a class Facebook group. At the time I pretty much kept it a secret as I was not sure how it would be perceived by other teachers (I did run it by my principal). The response and feedback I got from students was so positive and the interactions so beneficial, I was enticed to try other forms of digital connection. Below is a quick video I made to share at our staff meeting. I used Pow Toons to showcase another video making tool that is fun for both teachers and students alike. If you don’t have time to watch the video highlights are provided below. 3 Tools to Connect Your Classroom. 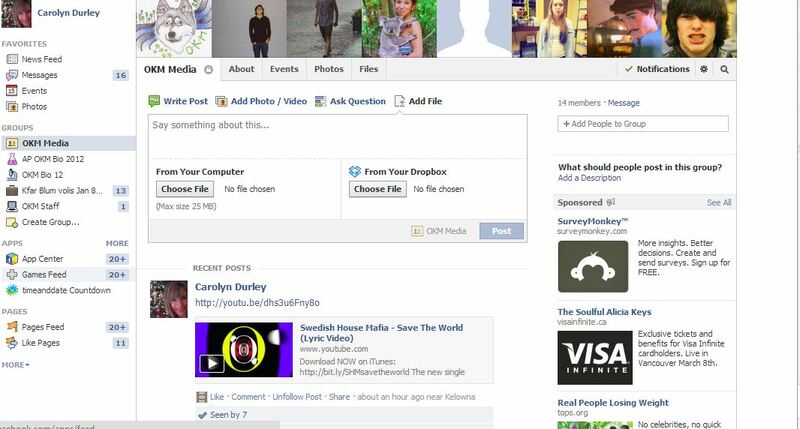 Don’t have Facebook? You make the group and do not have to friend students. To start a group you need to add one person who is your friend (I always add my daughter and then once the group is up and running she exits). No problem get a student to make the group for you. I post daily reminders, pictures from class, documents and links of interest. Students will ask questions and other students will usually beat me in answering and that’s magic! I know some teachers prefer Edmodo to Facebook but I find with senior students Facebook can’t be beat. I should say, I do not demand students join the group or Facebook, it is just another place they can access class reminders and updates, but not the only place. I have a separate account just to Tweet out class information, daily reminders and answer quick questions. This year, I invited parents to follow this account as well, as a way to keep up to date on class activities . Use Future Tweets if you don’t want to manually Tweet updates and reminders each day. Don’t have your own videos to share? No problem! There are so many amazing videos available videos on You Tube, why not have them collected all in one place? Again if you don’t have time for this consider giving this project to a student. What’s your favorite way to connect your students? Out of my silo; first go at a cross-curricular project. Today is the Friday before Spring Break and as such, is full of expectation and promise; spring signals hope, growth and renewed energies. To that end, I am excited by a cross-curricular project that has begun at my school. Inspired by a project (pictured below) I saw at Science Leadership Academy in January, our Art teacher, Mark Sadlowski, language teacher, Charity Franczak, and I have been working collaboratively to hatch a common project respectively for our Art 9, French 9, and Biology 12 classes. 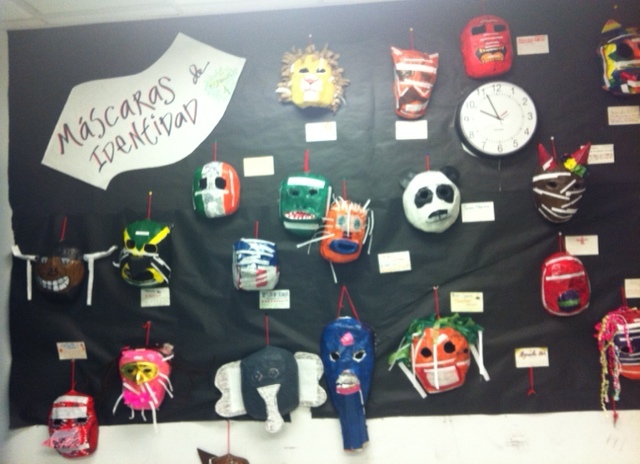 Grade 9 Identity Project – Masks with characteristics written in Spanish. The project is simple: students in teams of 6 (2 from each class) will build an anatomically correct organ that is harbouring a secret and has a story to tell. The Biology 12 students select a body organ of interest (from those we will be studying in our overview of the human body). The biology students (working in pairs), then partner with Art 9 students (also working in pairs) to determine the best way to build the organ. Concurrently, the French 9’s (also working in pairs, so a final team of 6 students) will join in to write stories in French that convey the secret that the selected organ is harbouring. Charity had the great idea of adding the theme of secrets, so each organ has the added depth to facilitate the story and add some intrigue. The secret can be reflected in the physical model and in the organ’s story (example a heart could have a faulty valve or the stomach knowledge of its owner having bulimia). Charity has been working with her class on building human body vocabulary. My class has been working to select an organ and is doing a first organ project in the creation of a Facebook page for their organ to create background knowledge and some connection to the organ. This is the first time my biology students will have exposure to body organs before we begin the study of the body systems, so I am intrigued to see how this unfolds for them. 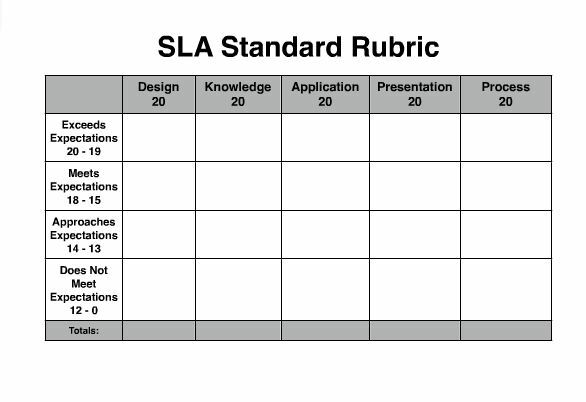 We decided to use this SLA rubric for the project, pictured below (it is already created and has all aspects we wanted). At the outset of the project, I was consumed with doubt: What if students don’t like the project? What if we teachers couldn’t find common ground? ; What if the project takes too long? ; How do we make time for our students to meet? ; What if our visions clash and contradict? And quite frankly I still have doubts; I have never done a project like this before, I am uncertain if it will prove valuable for students and if they will be able to produce a final finished product to show. But somewhere along the line it dawned on me that it did not really matter… if the outcome was a little less than perfect or if our visions were slightly at odds…what mattered was, here we were, talking, sharing, collaborating, out of our silos…we had already won. 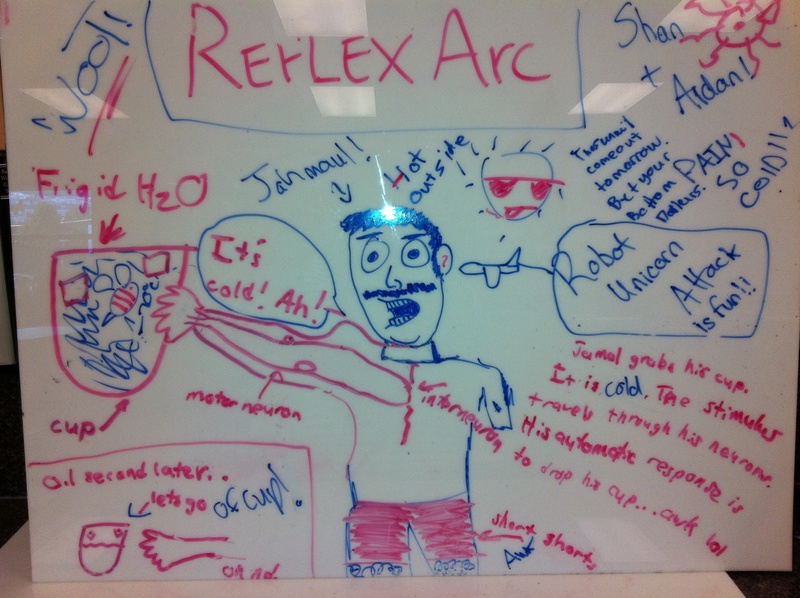 Establishing classroom routines: flex time, learning journals, hot seat and more! Whether you run a flipped classroom or not, establishing classroom norms are a big part of start-up. Although I like norms (and I do!) a lot, I also like to keep things fresh and surprising for students. So while I feel routines are crucial, I do not want the classroom to feel regimented and controlled. Moreover I want students to have real-time opportunities to notice the connection between their choices and the corresponding outcomes. While I strive to make students feel comfortable and safe, I also strive to push them out of their comfort zones. These nudges, might be specific to one student or a general trend that applies to many students. With the time and mental availability that the flipped classroom allows, I find I have a strong awareness of where students are at. I. 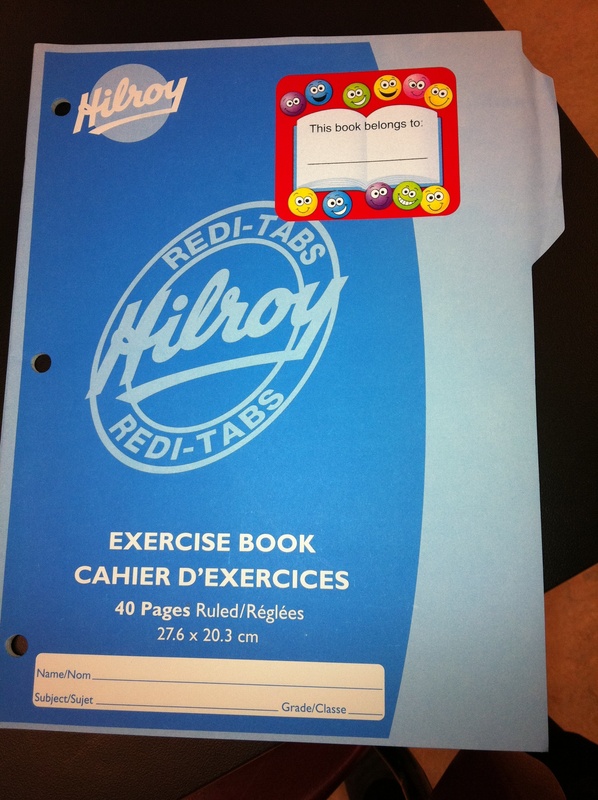 Learning Journals: I purchase inexpensive copy books (25 cents each) for students to use. The journals stay in class ( we are not 1:1 ) as I want students to have the opportunity to reflect on a regular basis. Like brushing your teeth, reflection and metacognition are habits that have to be developed with support and guidance. At first students do not take many risks with their reflections and stick pretty close to the provided prompts. Over time though they open up (just like a flower blooms!) and are able to reflect with amazing insight into their own learning journeys. Besides the prompts, we use journals to debrief activities and set weekly goals. Simple, inexpensive and portable. Personalized with a $ Store nameplate sticker! II. Index Cards: Index cards have so many uses, they are one of my favourite go to tools. Students seem to love them as well as they are so contained, unlike the rest of their sometimes very overwhelming lives. This year I am using them for students to set daily goals and then place the card on their desks beside them to be a visual reminder of their short-term goals. I got this idea from Net Smart by Harold Rhiengold and have tried it myself over the last couple of weeks and found it very helpful in aligning my attention with my goals. Other uses of index cards: summary of key ideas from an activity, making outlines for essays, and review of a challenging topic, etc. I buy rings at the dollar store for students to hold all their index cards together and they LOVE these (almost as much as I love the dollar store!). III. Learning Packets: Each unit has a packet and a list of possible activities (ex: watching screencasts, lab activities, group activities). Some will be completed as a class (ex a lab that requires set up or white boarding) but some are optional and allow for student choice. The cover page lists all the activities and begins with the optimal completion date. This cover page also lists journal prompts for the unit. During flex time students can select from the activity list. As the year starts I encourage students to figure out what combination works best for them. This is a fluid process and takes time for students to adjust to and requires lots of discussion. Example of a cover sheet for a learning packet below. IV. Flex time: This is time in class for students to complete what they need to get their learning done. At the start of the semester I begin with a small amount of time and depending on the dynamics of the class, this may only be 10 mins. As students become more comfortable with this open time I increase it. What amazed me the most is that students can (in most cases and after acclimatizing to the structure) self pace, for example students will go back to units where they struggled and ask for help from me or from other students. Students seem to want to work through their weaknesses first, before they enter new content territory. V. Hot Seat: Hot Seat is one of many of the Flipped Class terms that comes from Phil McIntosh (@mistermcintosh ). Hot Seat occurs as we are moving towards the end of a unit and students and I meet for a formal appointment (I do get time each day to check in and talk to students as well). This is when students have the opportunity to present, question and reflect on the evidence they have archived to demonstrate their learning. This might look different for each student, and it is definitely not a pile of completed worksheets (this year I am trying e-portfolios for the first time). Students are very proud to share and seem to really value this time. After a question or two I get a true sense of what is really going on with the student. It becomes very apparent if a student is not ready to challenge an assessment, we might make a plan for the student to write the assessment the following week (but outside of class time). In making this decision I use my both my teacher judgement and intuition. There are the “little monkeys” who are trying to game the system who I work to hold firmly accountable, students who will claim they are not ready but always do well (“stress monkeys”) and then those that are sincerely struggling and need extra support or more time. (“little muffins”). An example of the first Hot Seat of the year, which is more prescriptive. VI. Outside of Class Assessments: Students must complete an application form and submit to me by the end of day on Tuesdays. Outside of class assessments occur on Thursdays only, either before school or after school (if they cannot make one Thursday, I say “OK next Thursday”). Students have to present their evidence for their learning in advance of the assessment and as I say a time or two, these assessments are a privilege and not a right. This is the classroom practice that I have to repeat and explain the most and for some students it takes literally months for them to appreciate this opportunity. I do limit it to 2 times per student ( but would extend in certain situations) and have a blackout period in the last two weeks of the semester (for my sanity). I have turned students away (they did not complete the form, they had no evidence etc). Application form below. What are your favourite tried and true classroom norms? The first day of school is one of the most exciting days of the year. It is a new beginning, a clean slate, new dreams….anything is possible. I hope the first day makes students sit up, take notice and feel excited to be back. Here is the plan….and you know what is most fabulous about this plan? The main ideas are ones I have picked up on Twitter from other teachers who maintain professional blogs and share their practice. That my friends is a beautiful thing! 1. Invitation to Learning – on desk as students come in. 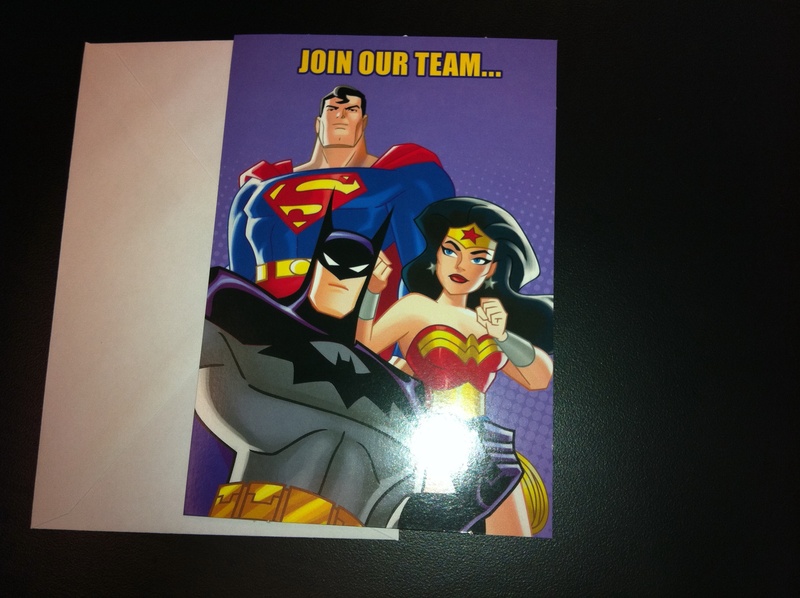 Materials: Invitations purchased at dollar store. I am a big fan of tangible items that students hold in their hands and take home. I realize this might not be everyone’s style, but it is authentically my style. Students work in pairs to introduce themselves. Using whiteboards (more on whiteboarding) partners draw images only (no words or numbers) to introduce themselves to their partner. Both partners draw at the same time on the same whiteboard, they can divide up board in any way they wish, just no talking or gesturing. When finished, they introduce each other to the class. 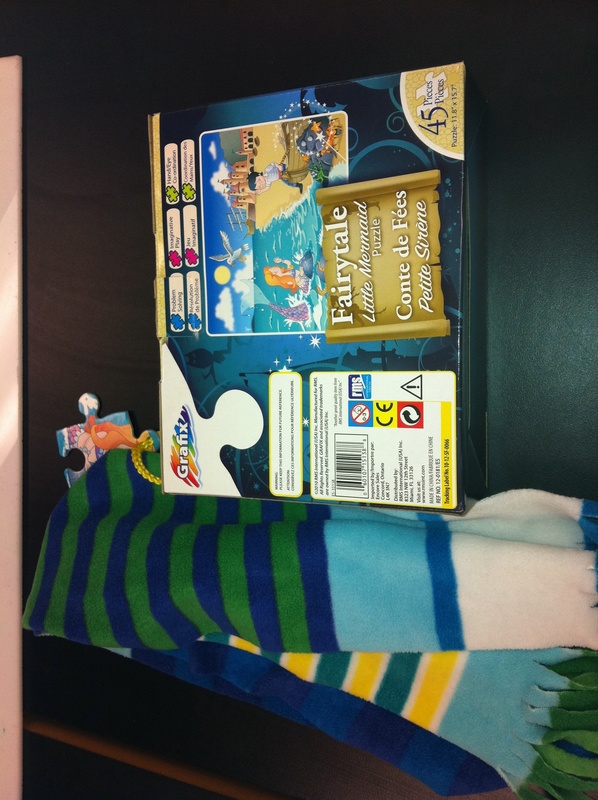 Materials: Eight 24-piece puzzles ($1.25 at dollar store), scarves (Value Village). I saw this activity last year was waiting to use it this fall. In groups of three, students will assemble a puzzle, but with a twist. Each group will have a director, a blindfolded puzzle assembler, and an enforcer (who will monitor another group to ensure that they play by the rules). Director and assembler will sit across from one another and with verbal cues only, the director will direct the assembly of the puzzle. After successful assembly of the puzzle, team members will de-brief what worked well and what was challenging. I hope this activity serves as a metaphor for our class community and signals to students that this class “will be different” (Sam Evans said this in his post and it resonated with me). 4. Building a Class PED Policy Together. Last September I invited PED’s (personal electronic devices) into class. To this end we created a classroom PED policy together, we all signed it and then posted it on the classroom door. This process worked really well and students themselves would refer back to it, or give gentle reminders to one another. My post of this activity here if you want to know more details. What are your favourite back to school activities?